About 700 million people live without clean water. We call this the water crisis. It's a crisis because water does not only affect health, but also affects everything in life: education, business, food, security, and gender equality. We can end the water crisis in our lifetime, but first, we have to let everyone know it's happening. Watch the video above for more information. Information to the right is from charity: water. 700 million people may be hard to grasp, but think of 1 in 9. Children are especially vulnerable, as their bodies aren't strong enough to fight diarrhea, dysentery and other illnesses. 90% of the 30,000 deaths that occur every week from unsafe water and unhygienic living conditions are children under five years old [source]. The WHO reports that over 3.6% of the global disease burden can be prevented simply by improving water supply, sanitation, and hygiene [source]. Information below is from charity: water. 90% of our world's freshwater goes to food [source]. After a water project is built in a community, members can be able to grow small gardens near their area, securing their own food supply. Self-sufficient households are less affected by conflict, famine or inadequate government services. In most rural communities worldwide, women and young girls are responsible for walking to collect water for their families. Building a water project nearby can give women the freedom to pursue an education or earn extra income. Water Committees are often the first chance for women to step into elected leadership roles. At the end of 2012, a milestone of three million people were served. However, by 2050, the world's population is estimated to grow by three billion and 90% will be in the developing world [source]. Unless sustainable water solutions are scaled fast, regions already stressed for water sources will be over capacity. STARTED IN 2006 BY SCOTT HARRISON, CHARITY: WATER IS A NON-PROFIT ORGANIZATION BRINGING CLEAN AND SAFE DRINKING WATER TO PEOPLE IN DEVELOPING NATIONS. FROM THE START, HARRISON BELIEVED THAT A CHARITY SHOULD KEEP ITS WORD ABOUT CHANGING THE WORLD FOR BETTER THROUGH TRANSPARENCY AND PROOF. The charity believes that bringing clean water to people not only changes their lives, but changes yours as well. The Dollars to Projects program tracks every dollar raised, showing you how the water projects you helped fund for people in need. 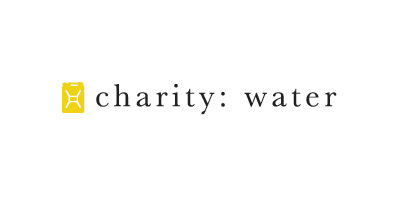 Charity Navigator rates charity: water 4 out of 4 stars. Curious to see if charity: water can prove their worth? Charity Navigator is the nation's largest and most-utilized charity evaluator, examining thousands of charities in an unbiased, professional fashion. Furthermore, charity: water publicly shows their financial audits and reports on their website, proving their promise to the public that 100% of donations goes to water projects. From the beginning, charity: water made a bold promise to the general public — that 100% of their donations would go directly to the field to fund water projects. They would find different ways to cover overhead expenses and would even reimburse credit card fees. The charity depends on private donors, foundations and sponsors to cover everything from staff salaries to office supplies.